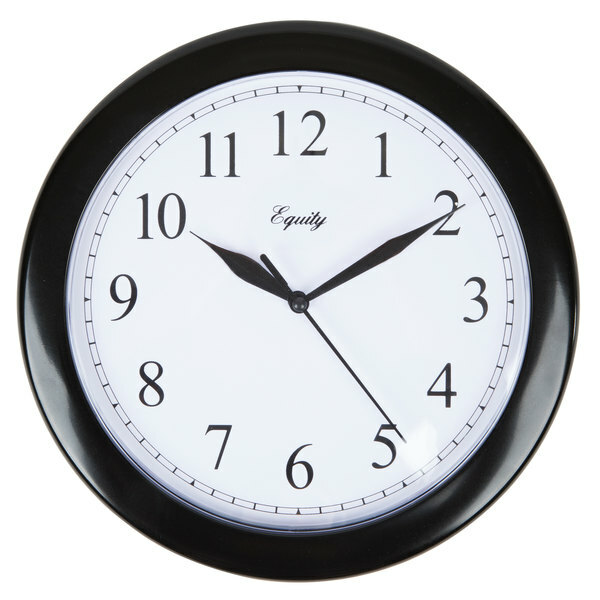 Fitting nicely in virtually any dining area or casual restaurant, this wall clock boats a simple design and easy-to-read display. Precision quartz movement powers the clock, while a black poly frame gives this clock a completely look. Operates on one AA battery that is sold separately. Winholt WL-55 Single Column Five Door Locker with Perforated Doors - 12" x 12"
Vollrath 4531 Traex® Los Empleados Deben Lavarse Las Manos Antes De Regresar Al Trabajo Sign - Black and White, 9" x 3"
Own 3 of them, worth the money and work without any issues. great for use in the kitchen, office or the dining area. Good buy for the money. 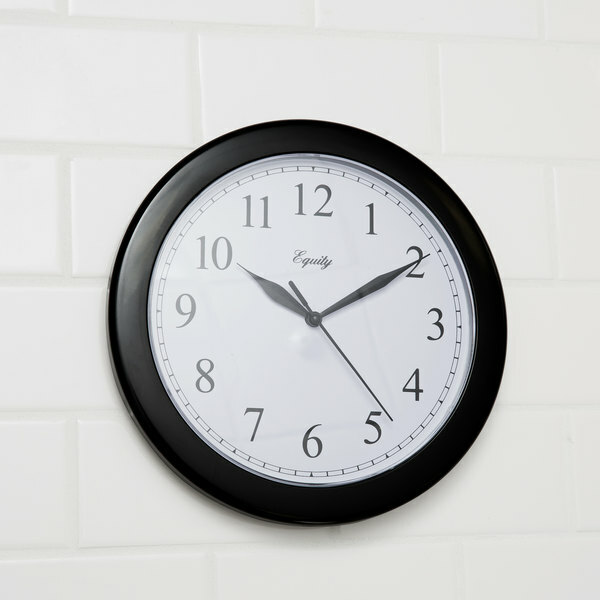 This inexpensive analog wall clock is classically handsome against the white FRP wall of our kitchen. We can easily read it from 20 feet away, and that is exactly what we need. I have a big kitchen, thats why I bought this wall clock on the wall of my kitchen, so i can check the time easily from far now. It does the job. A simple clock that doesn't do much for atmosphere, but it does what ti's supposed to do! Tell time! We have this hanging up in our cafe's kitchen to keep track of everything. Can't go wrong with a simple clock! Great clock. Easy to read from across the room. Does have an audible ticking so if that is something you do not want, I wouldn't recommend this particular clock. Great clock. It's quiet and smooth and so far it has held time well. It's a good size and a great price. Overall great product. Very nice clock, it seems to be very durable. We use it in the kitchen, it was a great price and I would purchase again. Great value! This is hanging on the wall in our backroom and is easy to read from a distance. 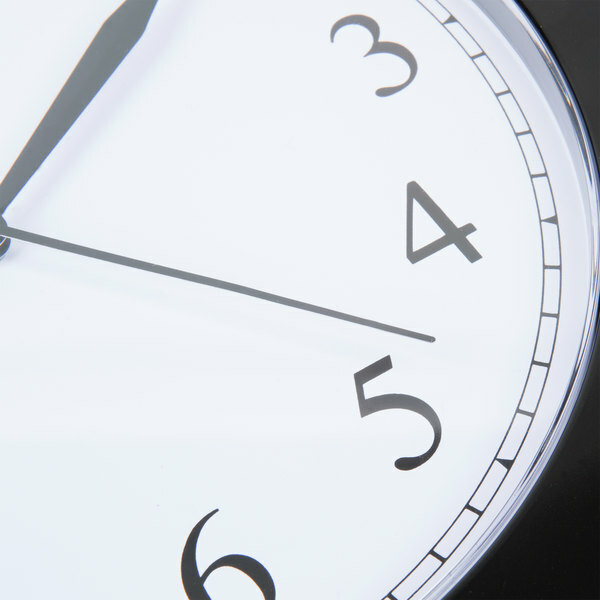 It keeps precise time, and I highly recommend this product! This is a pretty cheaply built wall clock, but it does what it is supposed to and takes standard batteries. I have no complaints at the price. Looks great in my commercial kitchen. Keeps time very well. It has large enough numbers to be seen across the whole kitchen. No cords and is very light weight. 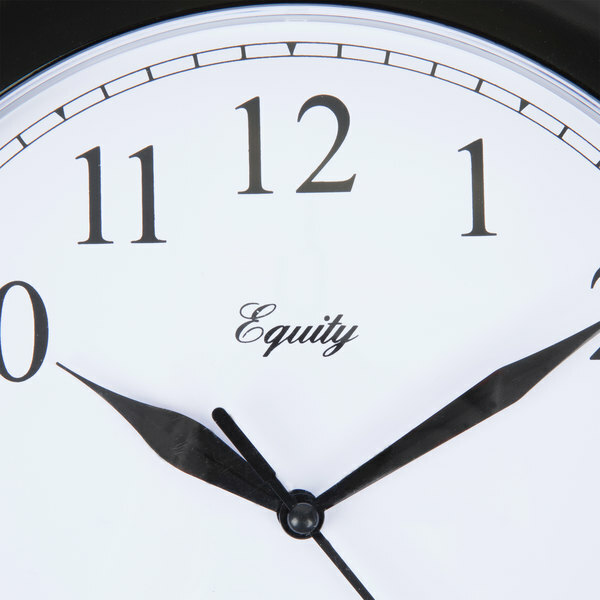 The basic 10" wall clock known to be the most plain yet efficient clock. It's price is one that i will want to go back for and it's pretty sturdy. 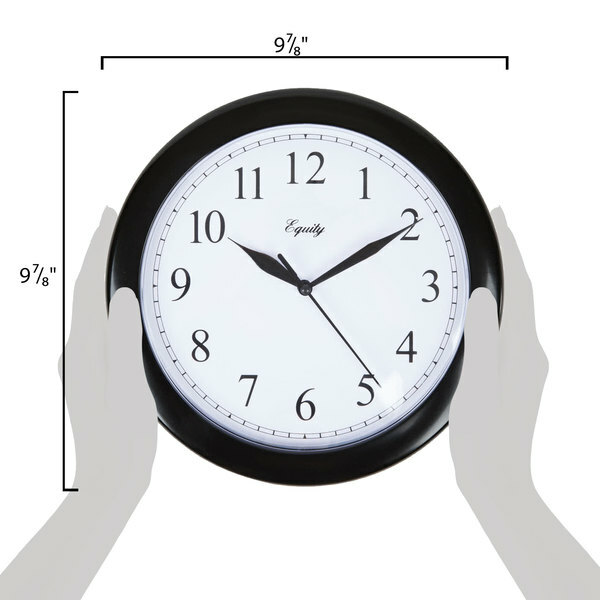 This is a great wall clock to have in the kitchen! The battery in ours has lasted over a year in a half so far! Great price. 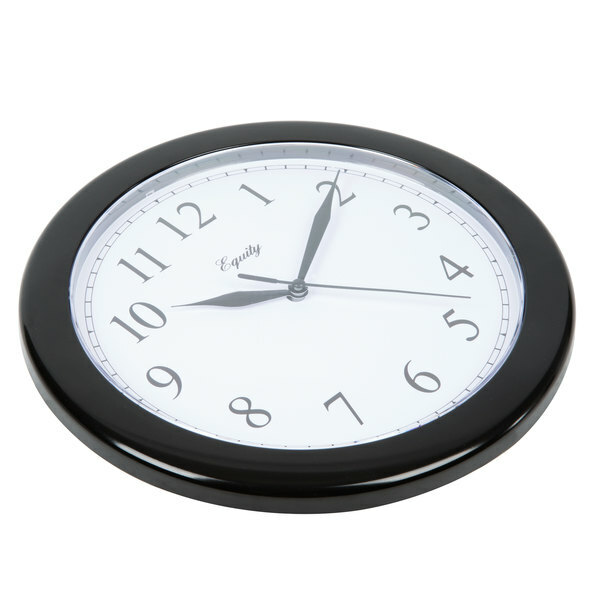 The 10' Diameter Wall Clock black Framed. It is perfect for any kitchen. it takes 1 AA Battery. Workes great, and price is well worth it. 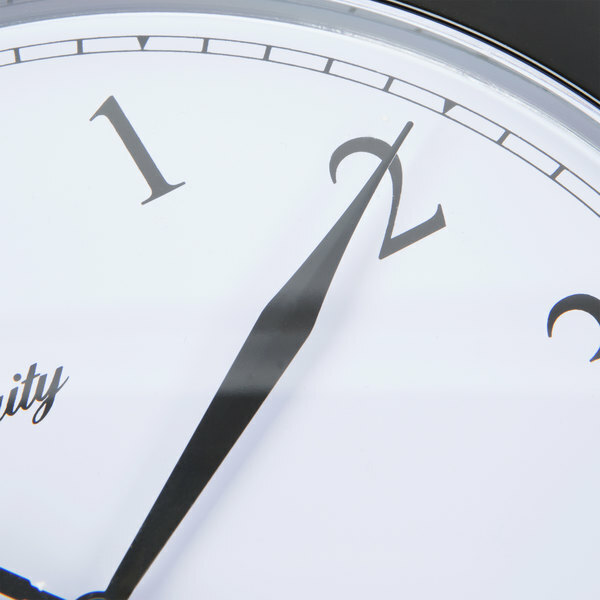 A great basic wall clock! Great for kitchens where time is valuable as well as in an office! Even great as a basic clock at home!! !